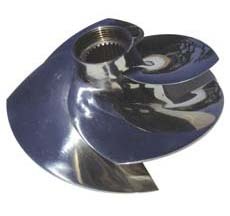 This is a common grudge-racer impeller. Features an improved Ultra-Slim hub design for maximum top speed results in many current watercraft. This impeller is more efficient than the common large hub style that come stock in many late model craft today. Increased acceleration and hook-up are only a few of the advantages of the revolutionary State-of-the-Art Skat Trak impeller. This machined masterpiece works more efficiently, eliminating the notorious cavitation problems and providing the performance people are craving for. 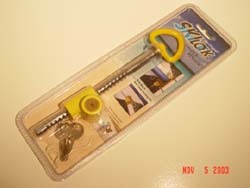 Skat-Trak manufactures impellers for a wide variety of water craft makes and models beyond those shown above. Please consult the Impeller Application Chart for those recommended for your craft.